San Onofre Old Mans, or San Onofre State Beach is one of the most popular beaches in California. It attracts a variety of leisure seekers such as surfers, swimmers, sunbathers, campers, kayakers, bird observers, fishermen and cyclists. San Onofre Old Mans is one of the top five-most visited state parks in California. It offers a real treat, since once can periodically spot a whale, dolphin or sea lion off of its shores. In 1971, Governor Ronald Reagan established the locale as a state beach. The state beach is divided into three distinct areas: San Onofre Bluffs, the San Mateo Campground and the San Onofre Surf Beach. In San Onofre bluffs, avid campers can lodge beside the beautiful sandstone bluffs. San Onofre-San Mateo Campground is just a short distance inland from the sandy shores of San Onofre State Beach. You can follow a trail to arrive at Trestles Beach, which is a world class surfing site. Surfers have frequented this beach since the 1940s, with their old fashioned redwood boards. San Mateo Creek flows close to the campground and towards the ocean. This environment fosters key riprarian and wetland habitats which serve as the home to some rare and endangered species. San Onofre Surf Beach features the Trestles, which is a globally known surf area renowned for its consistent waves. The church on the premises refers to the ghost of a long-gone chapel which serves as a site for sunbathers and bird watchers. Surf beach takes any surf and slows it down to a very slow pace. The whole territory is covered by a rock reef. Trails includes both rock bottom and sandy breaks. 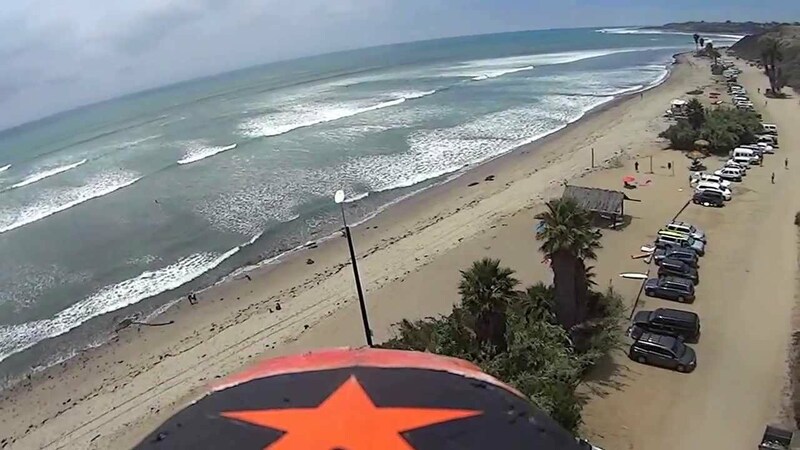 San Onofre State Beach also has historical significance. It is the site of an ancient sacred Indian village called Panhe, which served as a large village and burial site of the “Ajachmen” people over 8,000 years ago. The site to this day is still a sacred, ceremonial and cultural location for the Ajachmen Indians. It was also the site of the first Baptism in California.